Few albums in the canon of popular music have had the influence, resonance, and endurance of John Coltrane's 1965 classic A Love Supreme-a record that proved jazz was a fitting medium for spiritual exploration and for the expression of the sublime. Bringing the same fresh and engaging approach that characterized his critically acclaimed Kind of Blue: The Making of the Miles Davis Masterpiece, Ashley Kahn tells the story of the genesis, creation, and aftermath of this classic recording. 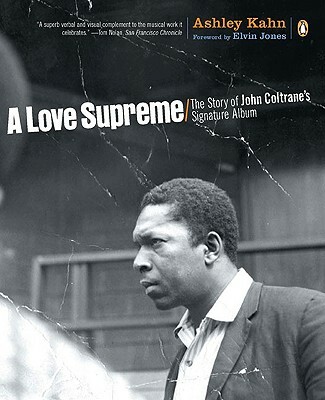 Featuring interviews with more than one hundred musicians, producers, friends, and family members; unpublished interviews with Coltrane and bassist Jimmy Garrison; and scores of never-before-seen photographs, A Love Supreme balances biography, cultural context, and musical analysis in a passionate and revealing portrait. Ashley Kahn is the author of critically acclaimed Kind of Blue: The Making of the Miles Davis Masterpiece; the primary editor of Rolling Stone: The Seventies, and a primary contributor to The Rolling Stone Jazz & Blues Album Guide. His freelance features on music and culture have appeared in the New York Times, TV Guide, MOJO, Newsday, The New York Observer, New Statesman (UK), Jazz (France), GQ (Japan), Down Beat, Jazz Times and many other publications. He was music editor at VH1, and has also been a concert producer and tour manager, working with a wide variety of artists from Paul Simon, Peter Gabriel and Britney Spears, to Ladysmith Black Mambazo, Cassandra Wilson and Debby Harry and the Jazz Passengers.